If Melbourne had a frenchy-chic ‘it’ girl, an authority on all things effortlessly chic – its current face would be Sha Anderson. 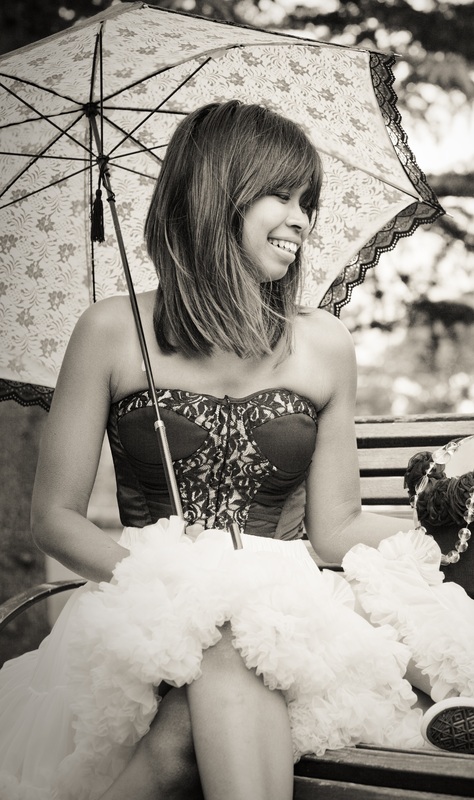 Formerly of the popular ‘Chic by Sha’, her new endeavour is Le Style – Celebrating French Events. The premiere event from Le Style is the luxurious High Tea – L’Heure du The’ which will be held next Saturday 17th September at The Langham Hotel. Ruby Assembly have been lucky enough to put Sha in the ‘hot seat’ for this week’s Business Ninja interview. For more information on the upcoming ‘L’Heure du The event, please click here. Even if you can’t join in on the day, you can still take part in the Madam Virtue & Co raffle supporting the NBCF. 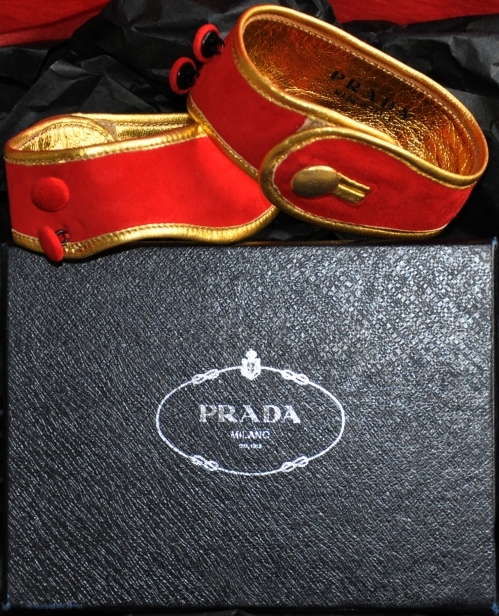 The team at Madam Virtue & Co have generously donated a pair of limited edition Prada Couture leather cuffs (picture below), valued at $500.00. Tickets are $10.00 and can be bought online by clicking here. 1. What makes you adore all things French? I love the effortless, natural beauty of French culture and food, which I can relate to my background. 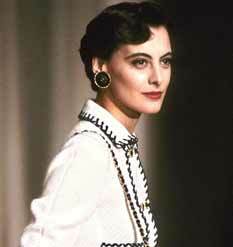 I was lucky enough to be able to travel in my early twenties and had a successful French-inspired fashion label. Through many friends of different nationalities and travels, I relate to the French culture, food and fashion the most. It is my admiration, my love, and a piece of me. 2. How did you come up with the idea of the upcoming L’Heure du Thé luxury high tea? Through my years running a French-inspired fashion label, Chic by Sha, I felt that there is a need for luxurious French event in Australia. 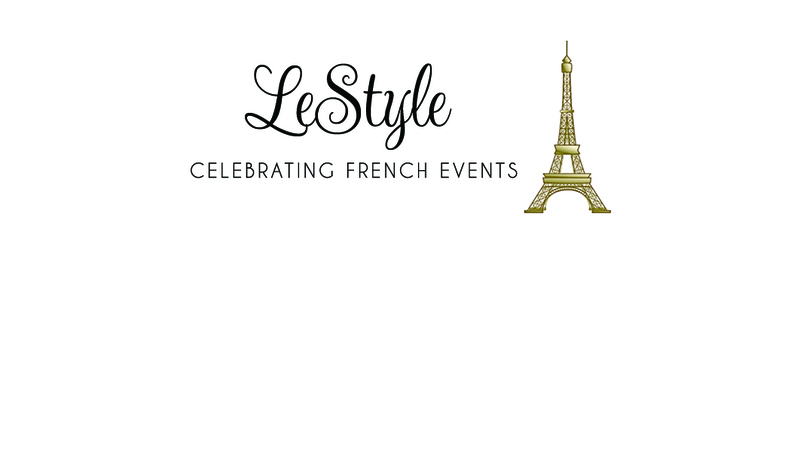 Hence, Le Style was created as an online source on special events in French style as well as to host French events in two of Australia’s main cities, Sydney and Melbourne. I wanted to begin with a Parisian theme, which many can relate to before moving on to different eras of French style in each event in future. A lover of luxury, I think L’Heure du Thé event is perfect in letting guests experience a Parisian themed high tea and enjoy a petite emporium at the enchanting hotel, The Langham. The elegant, feminine concept of the hotel depicts the city of love, which many women can relate to. 3. Do you think that Melbourne has any similarities to Paris? Melbourne is a city of soul which I find similar to Paris in some ways. There is a spirit of reassurance and love when one goes to Paris. Melbourne is known as a fashion capital and one of the world’s most livable cities, these traits bring to mind life in Paris as well. The beautiful different nationalities, treasured old architectures, cafe and shopping cultures reminds me of Paris at times. They’re beautiful and make me feel like I’m in Europe – an almost Paris experience, during autumn and winter at parts of Melbourne city. 4. What’s the singular frenchy-chic addition necessary to every women’s wardrobe? Every woman must have the little black dress in her wardrobe. The perfect jeans, le trench, a great blazer and cute ballet shoes for city walking make frenchy-chic necessities. Frenchy-chic is also about confidence, the right attitude and perfect tailoring that makes less looks more effortlessly. 5. Who do you think best emulates ‘Le Style’? 6. What is your favorite French movie, and why? Julie Delpy’s Two Days in Paris comes to mind as a favourite although it is a mix of both French and English movie. I absolutely love romantic comedy movies being a strong believer of having a great sense of humour in relationships. Other French movies I love such as Priceless, Heartbreaker, Coco Before Chanel and Amelie are beautiful, sweet and expected in some ways, however Julie Delpy’s film, Two Days in Paris is current, real and oh so funny. 7. The crunch of a macaron, or the crumbs of a croissant? Crumbs of a croissant for me – hands down. I have loved croissants since I was a little girl and have had it in my diet till now and will eat it at anytime. Mon dieu, nothing beats a freshly baked croissant, dipped in cafe au lait. 8. What can we expect from the L’Heure du Thé – any beautiful new businesses the francophiles of Melbourne can look forward to? Expect loads of style and luxe at the event, French atmosphere, beautiful settings and great food by Pierrick Boyer of Le Petit Gateau. We are hosting a petite ‘Pop-up French Emporium’ for your shopping and a time to immerse in French chic. The devastatingly gorgeous Peony Melbourne, the destination for luxury artisanal perfume, will be presenting the Rancé 1795 range. It was created for Emperor Napoleon and his true love Josephine. The original formulations have been faithfully rebottled for the contemporary empress. We also have the designer of the luxe jewellery label Ghost & Lola giving us the first showing of the new collection ‘Garden of Earthly Delights’ inspired by Hieronymos Bosch’s epic and also bi-yearly trips to France. I’m also very excited that Domain Flowers is designing fresh floral installations. They have very generously donated their talent to this event. They have to be the best florist in Melbourne, so I am humbled. Guests will also be treated to an installation of couture by Madam Virtue & Co. How often do you really get up close to true couture? Each of their pieces are designed in Melbourne and hand-stitched in Paris by the ‘premières’ couturiers. The event will be a treat and our French maids will assist you on anything you need, Madame. One more exciting thing to add is that the best dressed on the day will be awarded a divine scented Marianne Guedin candle. This prize has been generously donated by Miles Mason Trading Company. 9. Why did you choose the National Breast Cancer Foundation as the key charity for your fundraiser? Health and beauty comes hand in hand and I love what the National Breast Cancer Foundation does in their search for the cure of breast cancer. They’ve created lovely merchandises for guests to purchase and reach out to people in many ways that show we can all help in this campaign which I think is amazing. Fundraising for a great charity like NBCF into L’Heure du The is a dream come true to me in my ability to help others and bring in support. I hope that I manage to convey the message to women that health, beauty and kindness are bound in humanity. Great interview ladies! Mmm .. buttery croisants. Cant wait to take tea with you both next Saturday! !